For any fan of the Fire Emblem series, Nintendo Direct was probably the best surprise of the year. They have also confirmed three new Fire Emblem games, and in addition, a 3DS version of the previously announced Fire Emblem Warriors. Initially, they have revealed Fire Emblem Echoes: Shadows of Valentina, yet another 3DS game, based on the Japan’s 1992 Fire Emblem Gaiden. The game is expected out on the 19th of May, and will highlight free-meandering investigation, cell creeping, and “flexible character progression”. The new Fire Emblem will star Alm and Celica, who have secured an appalling war, partitioning the mainland of Valentia. The Amiibo versions of the characters will also be accessible on May 19. Not too long after this, Nintendo has announced yet another Fire Emblem title, which will be released on the Nintendo Switch at some point in 2018. Little information was given about this game, apart from the fact that it will be a totally new passage in the series, as far as anyone is aware. Afterwards, Nintendo uncovered that the initially reported Switch titles, such as Fire Emblem Warriors, Dynasty Warriors, and now Hyrule Warriors will also be going to the new 3DS. A stretched out gameplay trailer was released to highlight this statement. 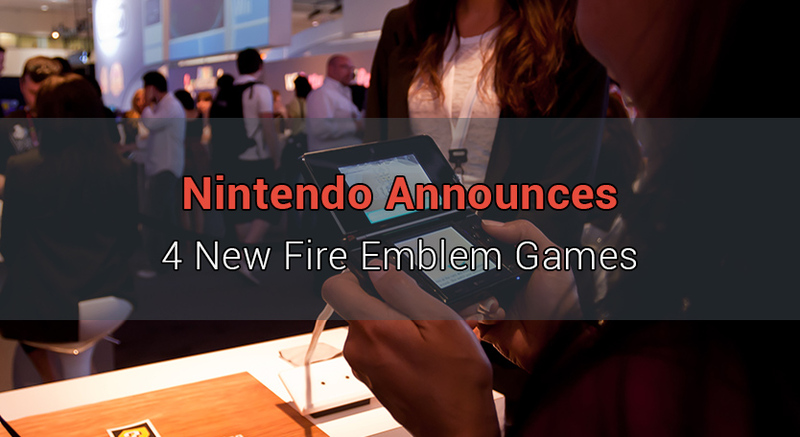 Lastly, to end the livestream, Nintendo revealed their portable RPG Fire Emblem Heroes. The strategic game has been released for free on iOS and Android on the 2nd of February. The title highlights characters from the franchise, setting them against each other in great lattice based fights. As a Fire Emblem fan, I’m more than excited and so should you! The series hasn’t seen this many titles released back to back since the mid 2000s, thus making it a great year for gamers!